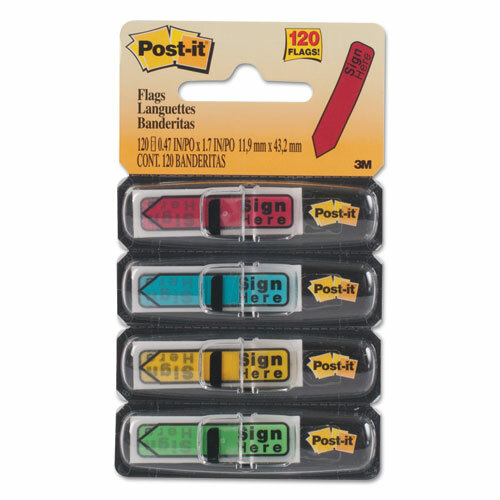 Post-it Message Flags Value Pack with 'Sign Here' messaging in assorted colors and 1/2 inch size help you get others to sign documents to free up your time. They stick securely and remove cleanly. The dispenser is made to fit in Post-it Desktop Organizers keeping flags close.